How do I choose the proper size ductless or mini-split HVAC system? The size you need will depend on many factors such as how tall the ceilings are and how insulated the home is but here is a general guide. It is important to remember that ductless or mini-splits will cool or heat a larger area than portable or window air conditioners per BTU capacity. If you have any doubt as to what size you need you should contact a HVAC professional. How does a ductless or mini-split system work and how is it controlled? 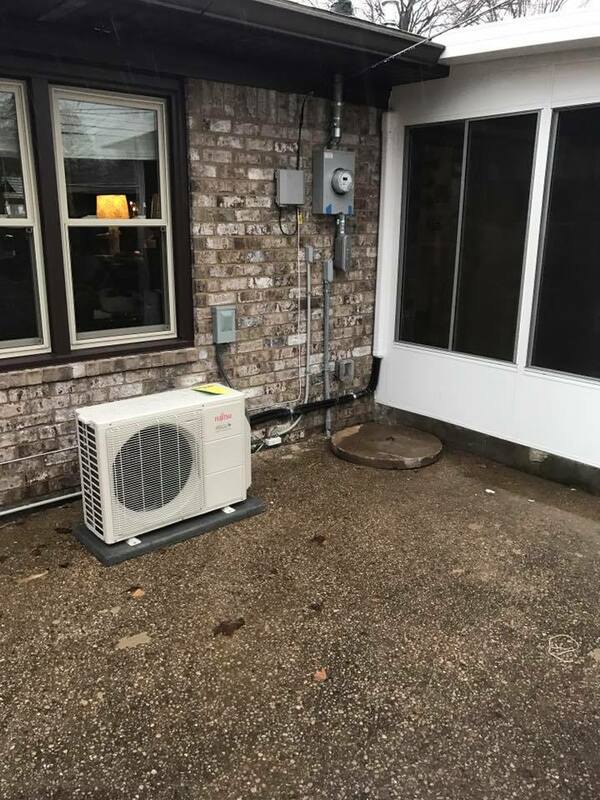 Ductless or mini-split heating and cooling systems are reversible, two-way heat pumps that transfer heat between outdoor and indoor air by compressing and expanding refrigerant. These systems collect heat from outside the house and deliver it inside the house on the heating cycle, and reverse the process on the cooling cycle. These systems are convenient because the temperature can be controlled for each room depending on the occupants comfort level. The system is controlled via a remote control that changes temperature and between heating and cooling mode. Wall-mounted and wi-fi enabled controls are available. Does a ductless or mini-split system need regular service or maintenance? A ductless or mini-split system requires basic maintenance to ensure that it is working at its peak performance. Regular maintenance by a professional is recommended. In most cases, maintenance is limited to checking and replacing indoor filters and keeping the outdoor coils clean and free of debris. Are mini-split or ductless systems efficient? Ductless systems allow the homeowner to control each heating and cooling zone independently, eliminating overcooling or over heating common to central air systems. You will no longer be cooling or heating unoccupied rooms. While central air systems lose as much as 30% of their efficiency through air leaks and conduction in the ductwork, ductless systems deliver warm or cool air directly to specific areas of your home, resulting in 25% more efficiency. Ductless systems use inverter variable speed compressors that allow the system to maintain constant indoor temperatures by running continuously at higher or lower speeds. The system can cycle up and down without any great loss in energy efficiency. 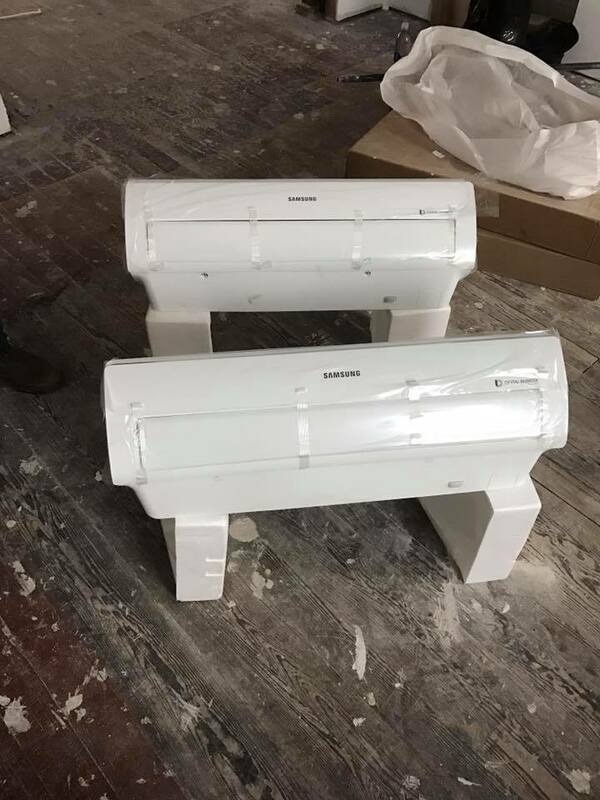 Modern ductless systems have phenomenal seasonal energy efficiency ratings(SEER) of 16 to 22 and heating seasonal performance factor(HSPF) of 9 to 12 or better. When applied in the right situations a mini-split or ductless system can be an energy efficient solution to a heating and cooling problem.